This month, let's talk about fine tuning our receptive abilities. We all know how easy it is to fall into a certain pattern of thinking. To some search engine marketers, the term "keyword research" simply means that we work very hard at studying keywords. 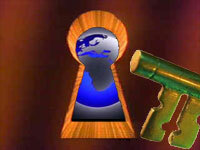 We all know keyword selection is the single most important aspect of search engine marketing. However, regardless of how keen your keyword researching skills are, using tools like Wordtracker, I also want to encourage you to start expanding your focus and even occasionally shifting it entirely to embrace an even bigger picture. Think laterally about what value you can add to your target audience. In order to do this you must first understand what it is THEY really want. I use to enjoy asking people questions like, "if you were searching for this product, what might you type into a search engine?" You might do some brainstorming and get interesting responses. However, once I realized the power of Wordtracker and how it can be used to actually identify the target audiences behavior, I completely changed my style of questioning, when talking with people who I might feel are part of my target audience. In other words, people are using the Internet as a "tool" in their everyday life. If we shift our focus to simply ask ourselves what the overall purpose of this tool is, we'll get many different answers. By broadening our thinking style, we can open avenues which relate to a topic which relates to a second topic which relates to a third topic which relates directly to our target audience. So for example, our target audience may be "travelers". Who are these travelers and what kind of "tool" is the Internet for them? How might they be using the Internet? Now in this short list, we might ask what each of these groups might doing with the Internet? What kind of a tool is the Internet to each of them? So to expand this, let's break it down a little more. You understand that lateral thinking and brainstorming can enable us to come up with all kinds of site features, articles and content that will attract a specific audience. It's easy to see how strategies could be built to attract these audiences. When I write about these things, I try to keep my suggestions pretty generic to encourage YOU to explore your own lateral thinking potential. The more you practice, the easier it gets. Particularly if you are using Wordtracker correctly. Now suppose we build a theme related site, with all of these services so that with one simple e-mail, a person could get quotes on all aspects of their wedding? How about a sequential auto-responder that gives you a day be day count down of your wedding planner to ensure nothing is left out? Think about the SEO potential while using a library page promotion strategy? Often wants to read reviews first, to compare one model with another model. Instead of offering typical product pictures with shopping cart, why not try a product review of the top selection of products with comprehensive reviews educating your reader about how each brand compares to the other. The point is, that this type of page saves a shopper from running all over the place to compare one thing with another. It saves them time and delivers value. Make sure you do your Wordtracker research with your lateral thinking cap on. Someone who is operating a CD warehouse might include a library strategy featuring dozens of "song lyrics". Is it safe to say that people who love song lyrics probably listen to music? Make sure to use care concerning copyrights on lyrics that may be owned by someone else. Try researching song lyrics in Wordtracker top to discover loads of themes. Okay, you have may have read about these examples in other articles I have written. behaviors of YOUR specific target audience. Here is an easy exercise you can try. 1. Identify the product or service or solution that you are trying to market online. Now lets look for hot terms within the top 1000 the easy way. Click on the Top 1000 in Wordtracker and examine the list. Okay, you are on the page displaying the top 1000 list in Wordtracker, right? Step one: Press Control key plus the letter F on your keyboard. Up pops the FIND requestor. Step two: Enter any single word that you feel relates to your site. For a real estate example, I enter the word "house" and press enter. RESULT: My cursor jumps to position 163 from the top 1000. The phrase I pinpointed in just 2 seconds was "house plans". What phrase did you find in your example. If there was none found, you may want to try entering different single words until you find something popping up. NEXT: I ask myself if the phrase "House plans" relates to the topic of Real Estate. It might, so to carry through, I highlight the phrase and copy, cut and paste it into the comprehensive search function of Wordtracker and press enter. Then immediately scroll to the bottom the results and click on the link which says "Click here to perform a competition search"
Finally choose which engine you wish to examine, I enter Google and click the proceed button. In general, the higher the KEI value the better. In the above example, if you wanted to be aggressive you could go after number 10 with a potential of 227000 competitors or you could go after number 1 with only 135 competitors! Number 1 phrase "Unique House Plans" could potentially pull in 328 visitors every 24 hours with only 135 other pages competing for it. Remember we are only talking about the potential traffic from Google. You could also repeat this process within some of the other search engines to. Did you enjoy this exercise? I'll bet you came up with some pretty interesting results? If you are new to Wordtracker or if this seems too confusing, be sure to read this article about Wordtracker. Grab a Free SEO Tip and have it sent to you by e-mail every day - hundreds of free tips! Subscribe or unsubscribe as often as you wish. John has taught onsite search engine marketing sessions to people from over 80 different countries, and he's worked as a professional in the search engine industry for years. John operates a Web site for professional search engine optimizers, Beyond-SEO. John Alexander and Robin Nobles teamed up together in 2002 to create the Ultimate SEO Mastery Workshop. For more information about their live, personal, hands-on workshop, please visit Search Engine Workshops. Web design by Look Sharp Designs. Look Sharp... Be Found!